The highhandedness of President Muhammadu Buhari towards the Indigenous People of Biafra has resulted in the assassination of a veteran US Navy Personnel, Chucks Okebata, who is of Biafran origin. Chucks Okebata has resided in the United States of America for most parts of his life working as a military officer but after retirement from the US armed forces, he decided to relocate to his ancestral land of Umuduruorie Umuomumu Mbieri in Mbaitoli province of Biafra Land. The US veteran who was billed to move into his newly built house in his hometown during the last yuletide was kidnapped by some gunmen and then assassinated in the evening hours of January 12, 2017. 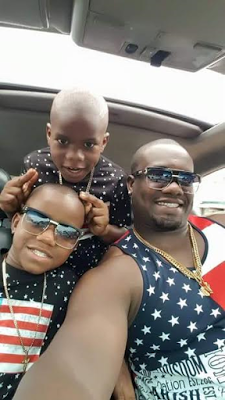 Family sources have lamented the death of the father of two boys and has placed a bounty of N2.5 million for the capture of his killers, the murdered Biafran-American has been described as kind, gentle and charismatic. Intel report received from anonymous sources revealed that the arrival of the veteran US Navy Personnel into Biafra Land had caused panic in the Nigeria government, which concluded he may have been sent to train Biafrans in military warfare. 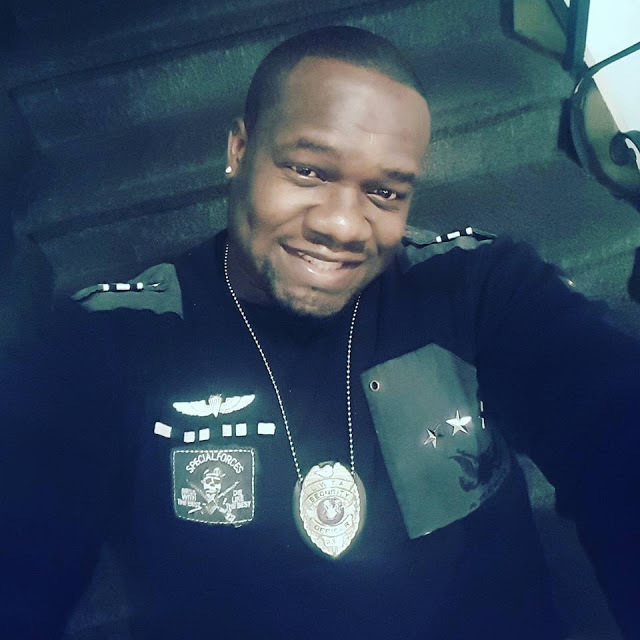 The anonymous sources also reveal that Chucks Obeta was placed on surveillance by the State Secret Service (SSS) until he was murdered last week Thursday. The source affirmed that a thorough investigation on the murder of the US veteran will indict the Nigeria government led by Muhammadu Buhari. The abduction and assassination of Biafrans in a Gestapo-styled manner is on the increase since the inception of Muhammadu Buhari as president of Nigeria. Hundreds of Biafrans have been abducted by the Nigeria secret police and have not been seen till date. The assassination of Chucks Okebata has once again revealed the desperation of President Buhari and his cabal to stifle the clamor for the restoration of the sovereign state of Biafra. The emergence of Donald Trump as the United States President-elect has unsettled the cabal in the Nigeria Presidential Villa, the tyrannical Nigeria government led by Muhammadu Buhari had paid millions of US dollars into the campaign coffers of Hilary Clinton, the loser in the last US presidential poll, believing she will emerge the winner. The fear for Donald Trump by the Nigeria government has been largely fueled by the support of the Indigenous People of Biafra, IPOB, for the US president-elect during his campaign and subsequent victory. It is believed that Donald Trump as US President will give his support to the people of Biafra in the quest to exercise their right to self-determination. 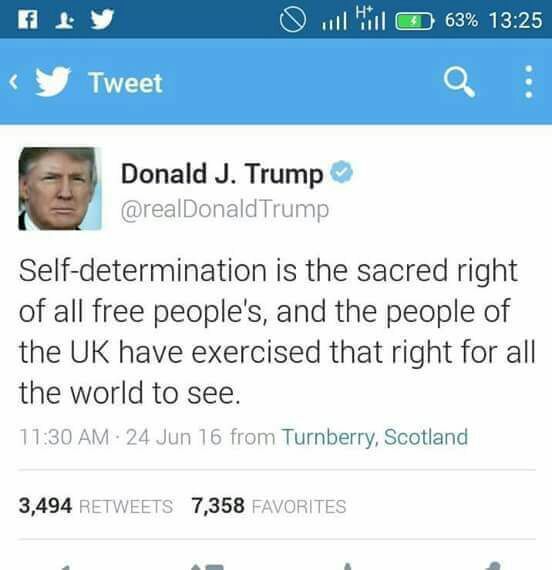 Trump has consistently shown his support for the right to self-determination via his social media platforms. It is believed by many he is also in support of the Scottish referendum in Britain and Brexit at the European Union. Donald Trump has also called up the Taiwanese government to discuss a diplomatic relationship, and that has enraged the Chinese government which does not want the recognition of Taiwan as a country. It did not come as a surprise to me when the Nigeria government decided to cut diplomatic relations with the sovereign government of Taiwan. It is an apparent move to hobnob with the Chinese government, knowing that its days of alliance with the US government is on a countdown as Barack Obama prepares to leave the Oval Office in Washington. The Nigeria government does not want to recognize Biafra as a sovereign nation and has continuously clamped down on Biafrans seeking the right to self-determination. The clampdown on the people of Biafra has led to the arrest and persecution of IPOB leader, Mazi Nnamdi Kanu, for almost two years and also the extra-judicial killings of thousands of Biafrans by the Nigeria security forces during protests and demonstrations. However, the Indigenous People of Biafra have continued to show their support for Donald Trump as he prepares to be sworn in as the president of US. In solidarity for Donald Trump, the people of Biafra will be holding a rally on Friday, 20th January 2017 at Ugwuocha (Port Harcourt). The ‘Biafrans for Trump’ rally is billed to begin at 9am and is expected to have millions of Biafrans from different parts of the globe in participation. With Donald Trump as the president of US, the people of Biafra are hopeful that their voices will be heard and justice will be done to their plight for freedom.